We bring to you the most glorious and funky wear of the season. 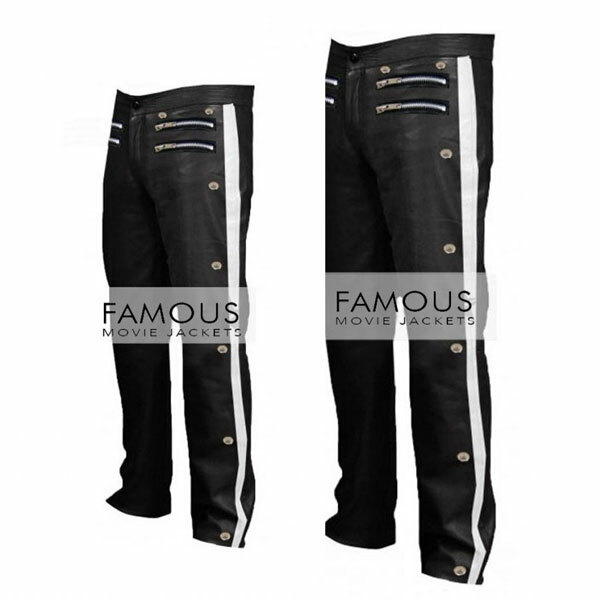 This bottom is inspired from the ultimate King of Music the one and only Michael Jackson. He is incredibly famous for his songs. There is no man on earth who doesnâ€™t know Michael Jackson. A singer like him can never be found on this planet. The pant that we provide is worn by him in the commercial ad of Pepsi in 1984. This cool pant has amazing looks and will make you look fantastic when worn with a cool t-shirt and a leather jacket. What can be cooler than this? Just look at it. Isnâ€™t it just perfect? Well sure it is. This pant will give you a sleek plus snazzy look and will bring out the best in your manly personality. Its style and size are perfectly made for you only. The price we are offering is just the fairest.